Higher Esteem Life Programs Higher Esteem Life Programs in Tulsa, OK offers educational and career development programs. 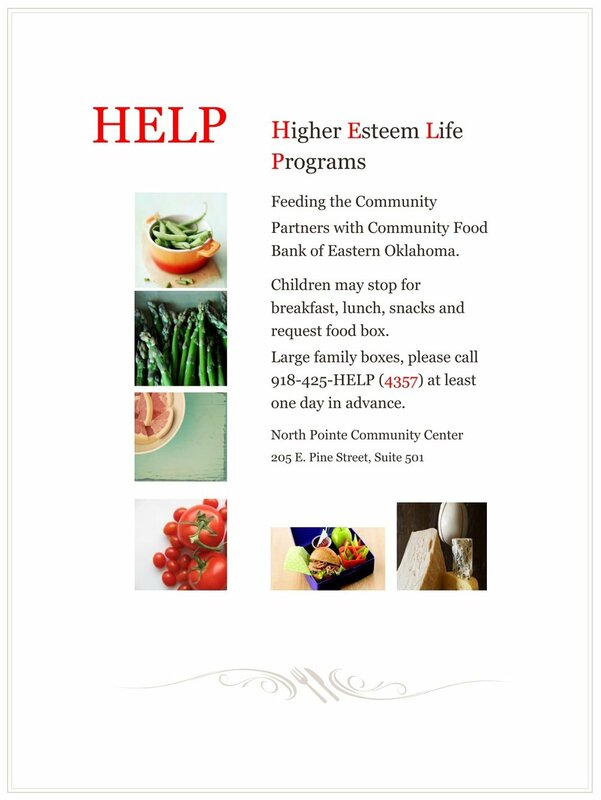 At Higher Esteem Life Programs (HELP), located in Tulsa, OK, we use collaborative efforts to merge education, the arts, and development programs to help children, youths, and families in the community. With over twenty years of experience, we have the expertise to help your entire family better their self-esteem through career and educational programming. We began in 1995 as Higher Esteem NonProfit Organization Inc. and later expanded to what we are today. We focus primarily on children, teens, and families who come from low to moderate-income households. Our team members are a diverse group of individuals who have a wide range of skills and expertise. Get engaged today by calling or stopping by to learn more about our programs! Call us today for more information about the wonderful educational and career development programs we have to offer for you and your family. We serve the Tulsa, OK area.